I do like a spot of anCnoc, as generally speaking I think they offer exceptional value for money. 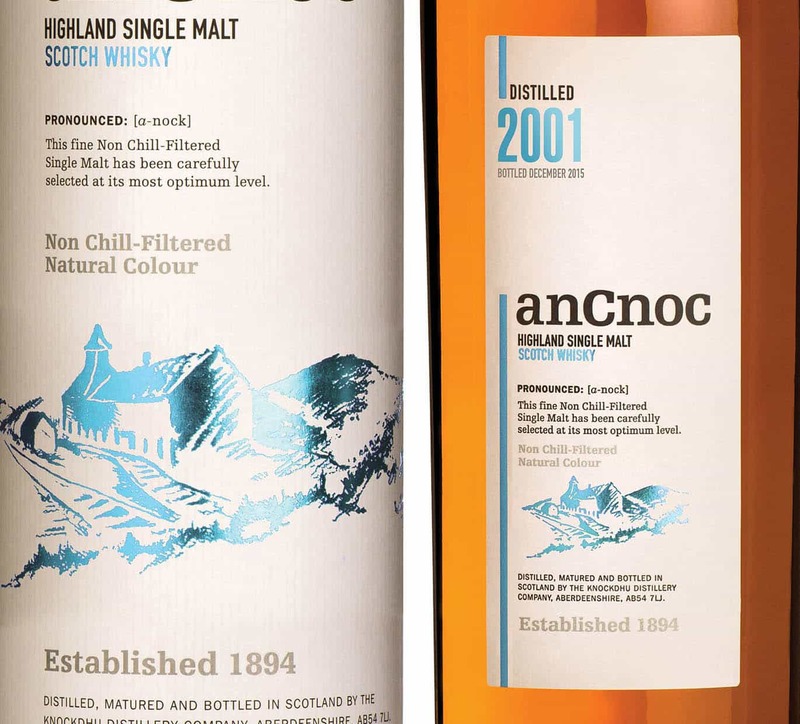 In a world of burgeoning whisky prices, anCnoc produce some reliably tasty drams at old fashioned prices. (Well, not exactly shillings or shekels, but you get the idea.) 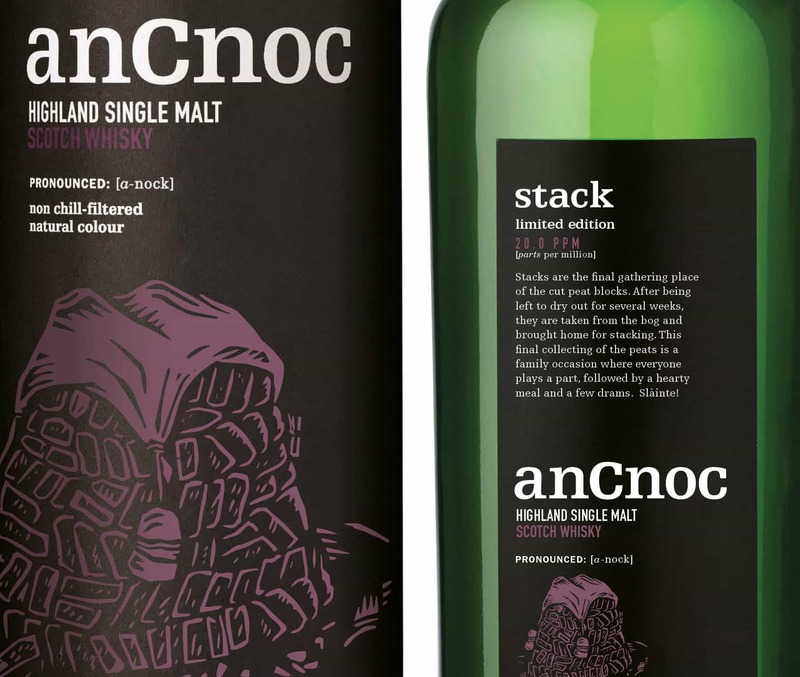 Formerly the Knockdhu distillery in the Highlands, the renamed anCnoc brand is a relatively new operation, bought by Inver House over a decade ago. Though these days, given the number of new distilleries that are being built, they’re positively old-timers. 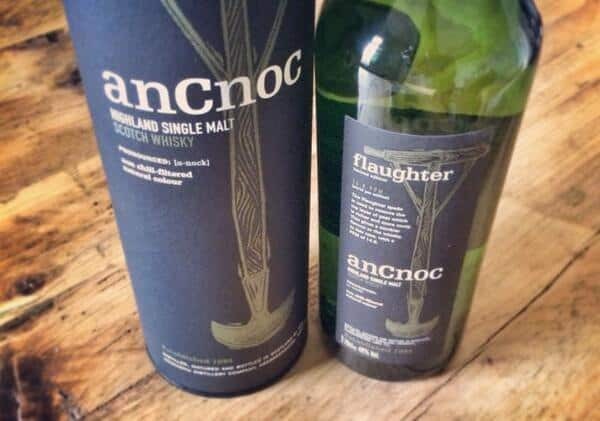 They normally produce a light style of whisky, so what of the new anCnoc Flaughter? Well, this is one of a new range of peated drams from the distillery. Flaughter is the name of the spade that’s used to dig up the top layer of peat. 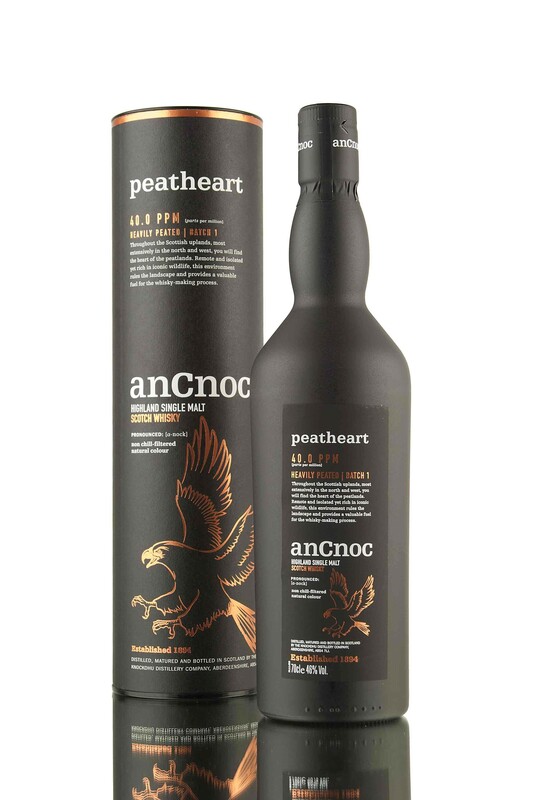 It’s peated to 14.8ppm, which is more intense than the anCnoc Rutter, which clocks in at around 11ppm. I’m very interested to see how this style turns out in contrast to the distillery’s usual offering. Colour: pine table. On the nose: very interesting. That citrusy, lively light style is still there, and it works very well with the peat. Now with your brooding Ardbegs, say, there’s something altogether heavier going on – a sort of woodburning stove, end of session type of sensation. It feels like that with a lot of peated whiskies, in fact, and there’s nothing at all wrong with that. But this is vibrant. Vegetative, like a condensed blast of that just-rained fresh-air. Something buttery and the sweeter notes of the peat. In the mouth: oosh, that’s pretty nice. Light, breeze, lemony, briny, with a cracking medium weight, all supported by that pervasive sweet peat. It sort of hugs your tongue really well. A blast of good German Riesling – all those mineral and grapefruit notes. Fades to a good cider, with some lovely lingering – and not at all overwhelming – smoke. There’s just the faintest hint of something more medicinal, a cheeky nod to a Laphroaig 10, but it’s doing its own thing here. I’ve often thought that the anCnoc 12 is the perfect outdoors summer party whisky, but this might be the first proper ‘summer’ peated whisky I’ve tried (normally I’m a cold-weather peat-beast). It’s still got that lightness of touch. It’s very good for the price, too. You should give it a go before the summer’s out – I can imagine this going down very well after a barbecue, especially to wash down a burnt banger.